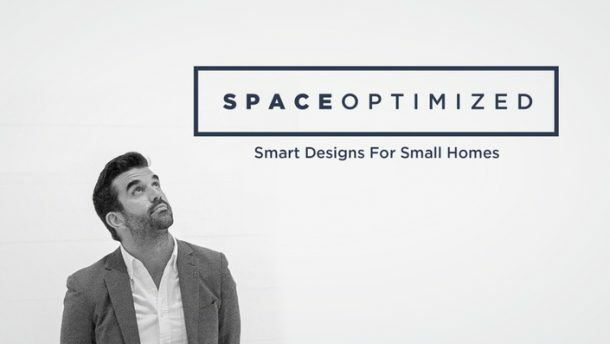 Looking for an affordable tiny home that can be built on site in as little as 6 hours with the help of a 3-person construction crew? How about owning a house that folds and unfolds with ease, making a move less of a hassle for you and the rest of the family? Meet the MADi (modulo abitativo dispiegabile or deployable housing module) home, an earthquake-resistant and eco-friendly living unit that unfolds in mere hours. The MADi home’s unique features revolutionized affordable tiny house living forever! 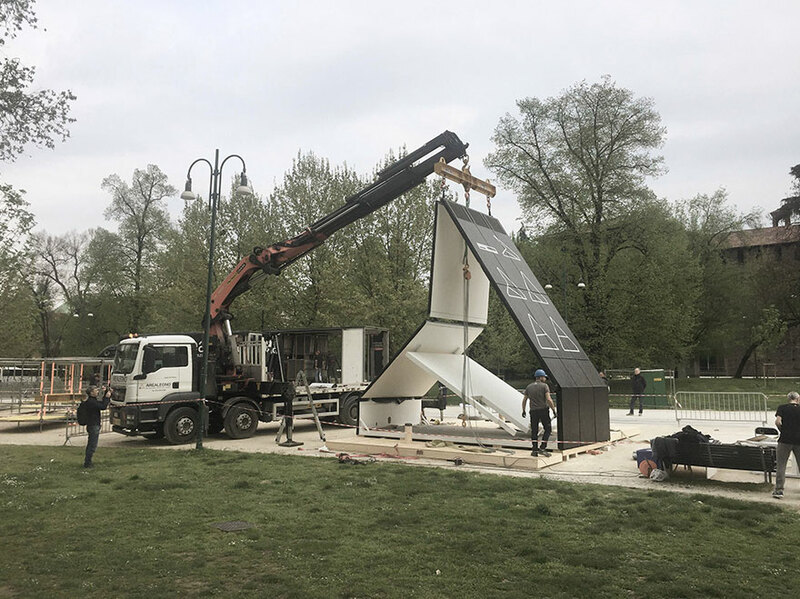 Designed by Italian architect Renato Vidal, this prefabricated foldable house can be assembled on site using a crane and a 3-person construction crew. From start to finish, a typical MADi home takes only 6 to 7 hours to complete, which is fast compared to building a traditional home. Made from cross-laminated timber, the MADi home does not require a concrete foundation and yet, it’s earthquake resistant! While it doesn’t require foundational soil, the MADi home is incredibly stable thanks to its revolutionary screw pile system. If desired, however, you can build the structure on top of a reinforced concrete foundation. The MADi home features a classic A-frame design with hinged, galvanized steel frame, and sleek, paned glass front. 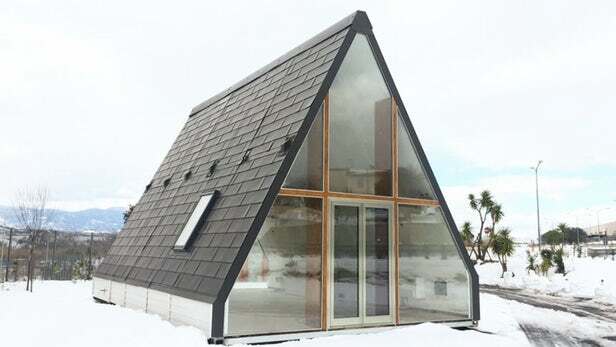 It comes in three sizes to choose from: 27-square meter tiny home, 56-square meter double home, and a 70 to 84 square feet triple family house. According to the makers of MADi home, the modular living units gives homeowners the opportunity to have a temporary house or a permanent dwelling that works with their respective needs and financial availability. 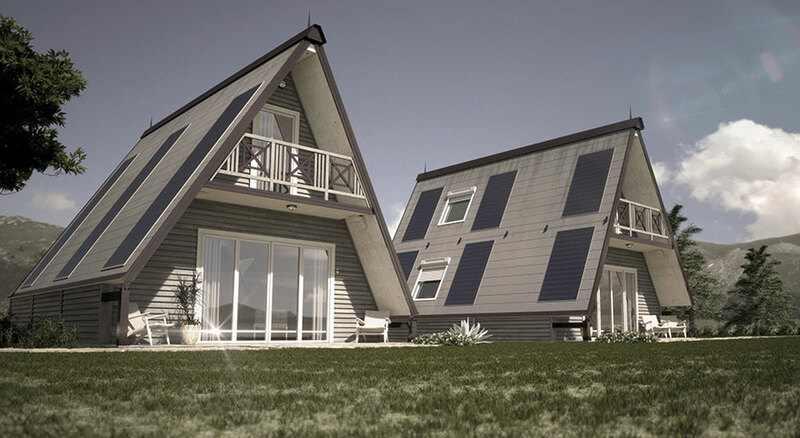 The MADi home could work as a temporary home in case of natural disasters. Inside the MADi home, the interiors are just as sleek and contemporary. 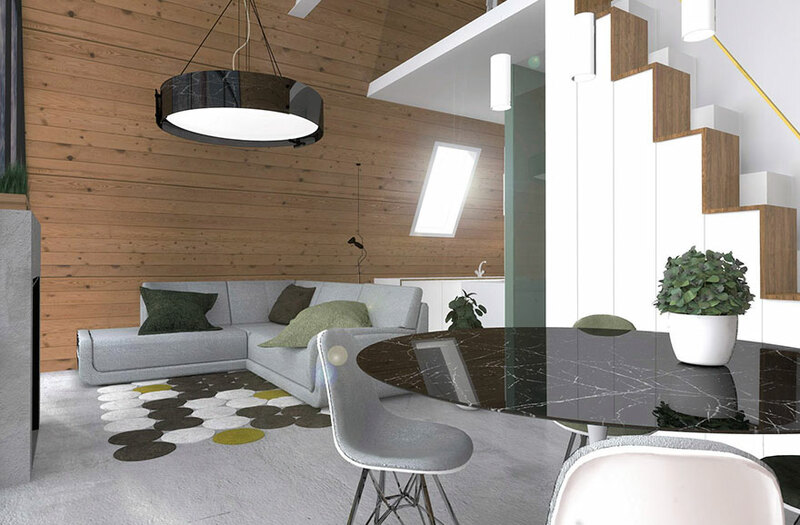 The open-plan space gives you the flexibility to style your interiors however you like! Each unit boasts of two floors of living space. 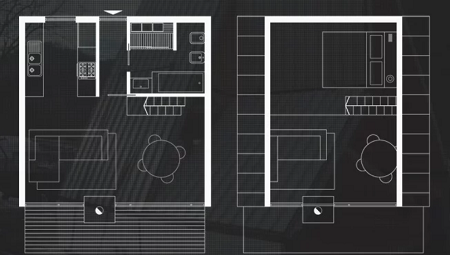 It has a bathroom, a kitchen, and a dining area on the ground floor and bedroom/s on the second floor. 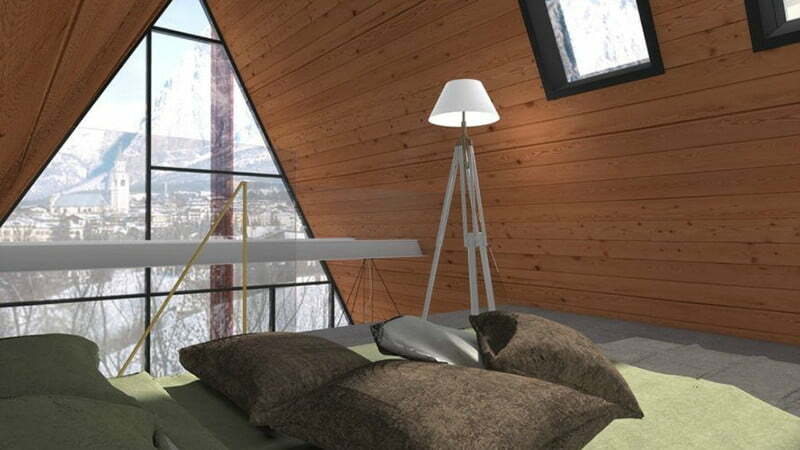 The living units could be customized according to your needs and budget. 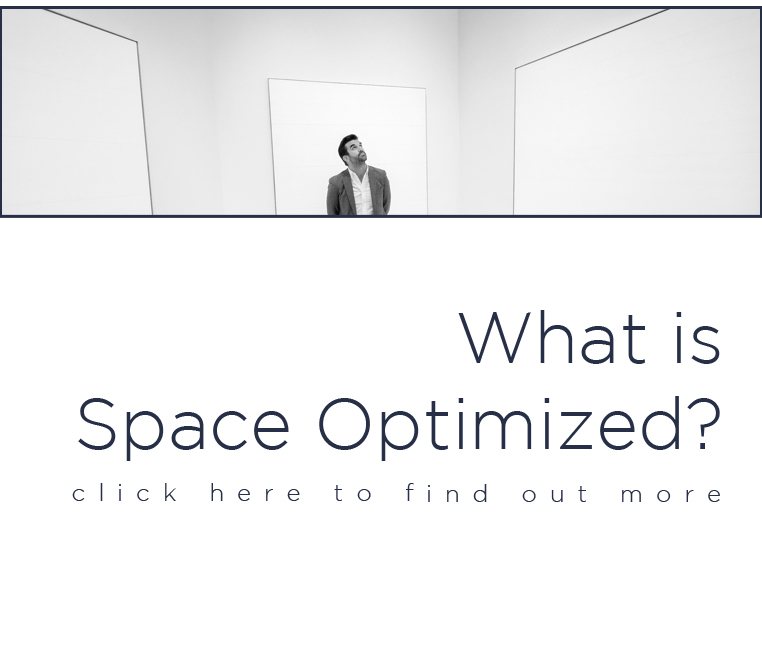 You are given the option to extend your living space in the future by adjoining more modules to your existing MADi home or choose between a variety of materials. Polyurethane foam is used to waterproof the home and provide insulation. The walls are insulated with high-density rock wool. You can choose between PVC and aluminum for the window frames. And if you’re worried about the plumbing, sanitation systems, wiring, insulation, etc., all these will be assembled and installed by the construction crew. If desired, the structure could be unfolded and packed away in a warehouse when not in use. The standard MADi home is rated class B for energy consumption by European standard. However, it can be customized to meet class A or even class A++. You can also install solar panels, LED lights, and a gray water system to make the MADi even more energy-efficient! Thinking of getting your very own MADi home? This tiny home is affordable! A single unit will set you back $33,560 while larger units cost about $74,300!